Henry L. submitted this photo and caption. The Cascades' 2011 bass drum line after a memorable season. Taking place toward the end of the banquet, this bass line had members recognized left and right for their perseverance and improvement throughout the season! Thank you Ricky for all your hard work and patience with us! 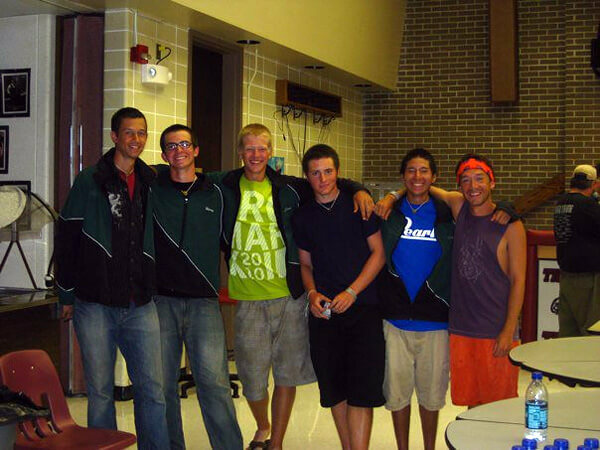 Left to right: Aaron ('10), Henry ('09, '10), Chad ('09, '10), Mike ('10), Seth ('10), along with Ricky our bass tech! ('05, '06, technician '09 to present).